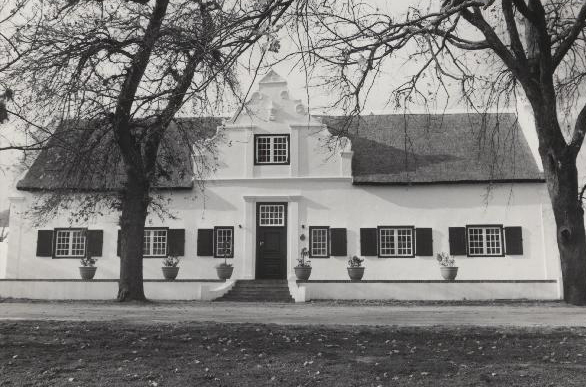 Ivan Flint will be speaking on the work that his practice, Flint Associate Architects has undertaken at the historic farm, Fleurbaix (Previously known as Fleurbaai) on the outskirts of Stellenbosch. Ivan Flint is a member of the Vernacs. He graduated with the degree of B Arch from the University of Cape Town in 1975. He and became a registered architect with the South African Council for Architects in 1977 and in 1986 he was admitted to the Royal Institute of British Architects. He first worked for and then became the first junior partner of Munnik, Visser Black & Fish in 1984, where he was responsible for several restoration projects, working with Dirk Visser. In 1995 he founded the practice of Flint Associates Architects. Over the years Ivan has been responsible for a wide range of projects including banks, hotels, factories, wine cellars, commercial developments, restorations and renovation of historic buildings, recycling and refurbishment, and many private and group houses. Among the many significant historic buildings that he has worked on are: St, George’s Cathedral, Hawthorden and Casa Labia for the Labia family, Glenara at UCT, Le Bonheur at Klapmuts, Uitkijk at Stellenbosch, Land-en-Zeezicht in Somerset West and Watergate – the former Garlick family residence at Muizenberg.